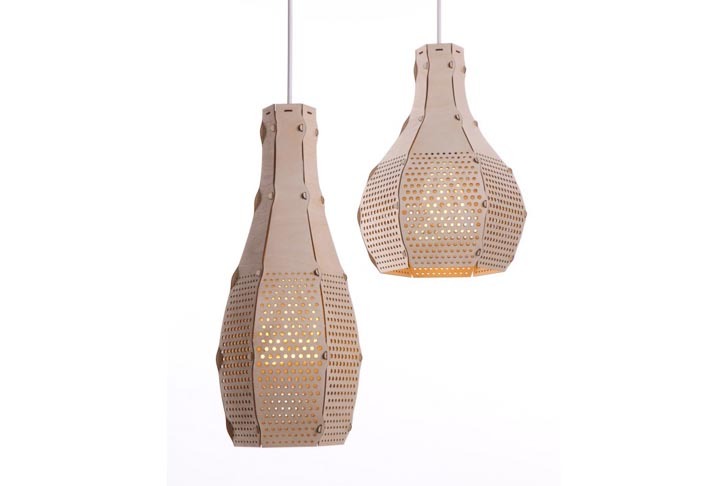 These amazing perforated pendant lamps are the creation of product designer Etienne Esmenjaud. By using low-impact and easy to handle materials, such as FSC wood and felt, he is able to laser-cut, pierce and assemble the resulting two-dimensional shapes into three-dimensional functional objects that provide plenty of light. His Bud Lampshades (seen above) are made from six easy to join panels that also fold flat for easy portability.